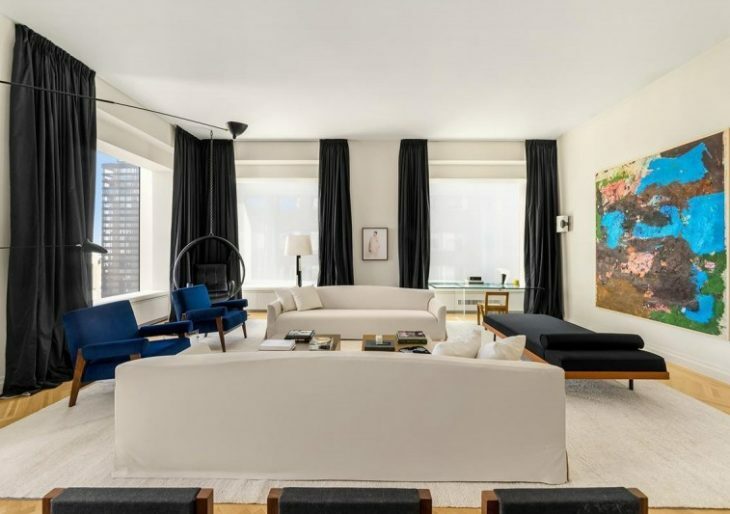 In March of last year, Jennifer Lopez and Alex Rodriguez made yet another high-dollar investment in residential Manhattan real estate: an upper-floor unit in boxy 432 Park, the tallest residential building in the Western Hemisphere. The couple dropped $15.3 million on the property, which had been priced at $17.5 million. 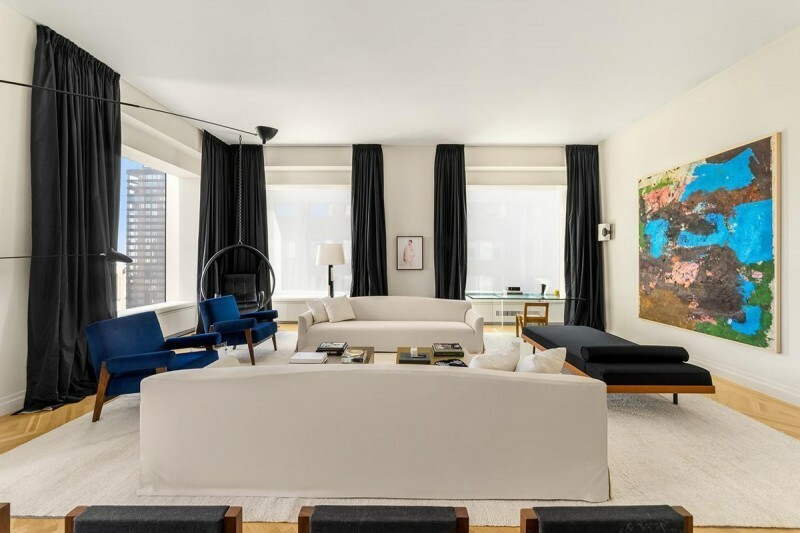 Lo and behold, the unit is back on the market, and priced to convert a yearlong investment into a modest return: the ask is a reasonable $17.5 million. The condo measures a whisker over 4,000 square feet, and is situated in the middle third of the building. A generous sense of space is fundamental to the design of the Rafael Vinoly’s building; J-Rod’s unit features the 12’6” ceilings of all units, and the building’s 10’ square windows make the most of the ’Park views. Natural-toned herringbone-pattern hardwood and natural oak cabinetry add a bit of earthy sophistication, with marble kitchen floors bringing additional texture to the fore. The unit features Northern and Eastern exposures. The unit’s three bedrooms and 4.5 baths culminate in a corner master, which is distanced from the shared living space in the floor plan. The condo also features a large entrance gallery and a library. 432’s heavenward aspirations take it 1,396 feet above terra firma, giving its units astonishing, panoramic views of the city. The building also boasts 30,000 square feet of amenities, including a billiards room, a fitness center with spa and massage rooms, a library, a screening room, and a 75’ pool.